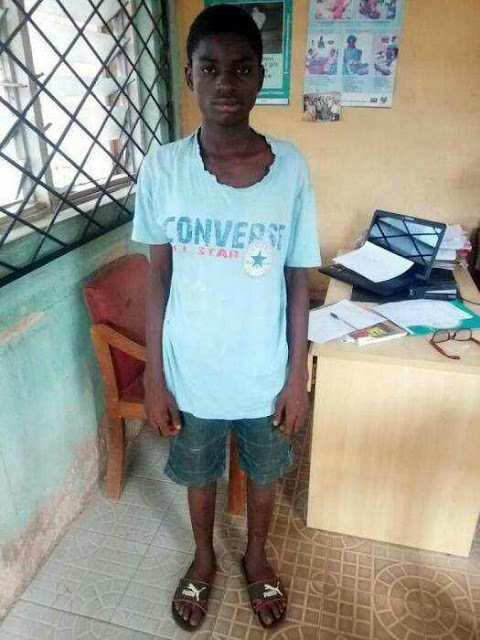 A JSS 2 student of Anglican Grammar School, Ondo State, was allegedly abandoned by his father at a motor park known as Faith Mortors in Benin city, Edo State. The young boy who was identified as Okoro Chigozie was found wandering through the streets of Benin City when a good Samaritan approached him and took him to Okhuare Police Divisional Headquarters. It was reported that instead of the young boy to be handed over to the authorities in charge of welfare of children for Protective custody, the boy was locked up in the state CID cell for a week. According to Kola Edokpayi, a Human Right Activist, the issue was brought to the attention of the Commissioner of Women Affairs and Social Development and the Commissioner of Police who later intervened in the situation. The boy has been handed over to the Child Protection Officer of Ministry of Women Affairs and Social Development, Comrade Agugu Ehis, with the hope of finding his Relatives.